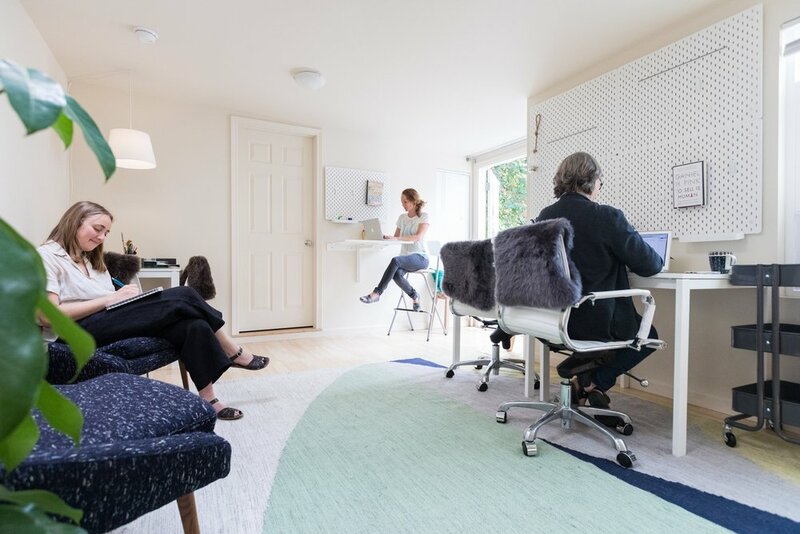 Roaring Mouse and The Screentime Consultant are excited to announce RavennaWorks, a coworking space for parents and community members in the new garden office! Are you an artist, a writer, a new entrepreneur? Or a tired parent in need of a peaceful place to reflect, connect, or get work done? Come work in our beautiful new office while your kids get creative at Roaring Mouse! We generally follow the Seattle Public Schools calendar for vacations and holidays. PLEASE NOTE: While RavennaWorks provides drop-in hours for the coworking space, Roaring Mouse offers drop-in availability only on select classes. Find out more about our kids classes here and inquire for information on drop-in class options. RavennaWorks is a collaborative effort between Roaring Mouse and The ScreenTime Consultant.